Thomas Lanier Williams III, known as Tennessee Williams is one of America’s most popular playwrights, and now regarded as one of the most significant writers of the twentieth century. He wrote more than thirty plays, some of which have become classis of Western drama. He also wrote novels and short stories but is known almost exclusively for his plays. His genius was in the honesty with which he represented society and the art of presenting that in the form of absorbing drama. The plays offer a stark picture of the prejudices of the American south, acknowledging economic realities and exploring social conditions that were taboo when he began writing, such as homosexuality and domestic violence. He was an admirer of Chekhov and influenced by him. Like Chekhov he was able to represent tragic situations that are also funny. The plays portray America at its worst while at the same time showing the human condition as absurd, for all of the suffering. Williams’ most famous and still enduring play, A Streetcar Named Desire, written in 1947, received the Pulitzer Prize for drama in 1948. It has a attracted some of the century’s best actors and was made into a film, now a classic, starring Marlon Brando and Vivienne Leigh. Blanche DuBois, an English teacher with an aristocratic background, living in Auriol, Mississippi, goes to New Orleans to live with her sister Stella and her husband, Stanley Kawolski. She has just lost the family property to creditors. She is shocked to find that her sister and her husband live in a rundown apartment. Also that Stanley is coarse and vulgar. Stella, who is now pregnant, was attracted by his hypermasculinity, which manifests itself in physical outbursts and vulgarity. Blanche is repulsed by him. Stanley, a labourer, finds Blanche affected, full or airs and graces, and he suspects that she has sold the family property, Belle Reve, and is withholding Stella’s share of the proceeds. Soon after her arrival at the Kowalskis, Blanche starts to date one of Stanley’s friends and co-workers, Mitch, who is less common than Stanley and his other friends, and who is looking for a wife. Stanley’s desire to find out the truth about Belle Reve and Blanche’s life in Auriol, affects the interrelationships between Stanley, Blanche, Stella and Mitch in a way that threatens to destroy what’s left of Blanche’s already delicate mental state. Three years before that Williams wrote another play that has also become a classic of American theatre – The Glass Menagerie. He continued to write plays, several of which take their place as America’s most popular and regularly performed plays – plays such as Cat on a Hot Tin Roof, Sweet Bird of Youth, and Suddenly Last Summer. In 2009, Williams was inducted into the Poets’ Corner at the Cathedral of Saint John the Divine in New York. The Tennessee Williams Theatre in Key West, Florida, is named after him. The Tennessee Williams Key West Exhibit has Williams memorabilia – photographs, clothes, and pictures and it includes his famous typewriter. Williams was honoured by the U.S. Postal Service on a stamp in 1994 as part of its literary arts series. He was also honoured with a star on the St. Louis Walk of Fame. 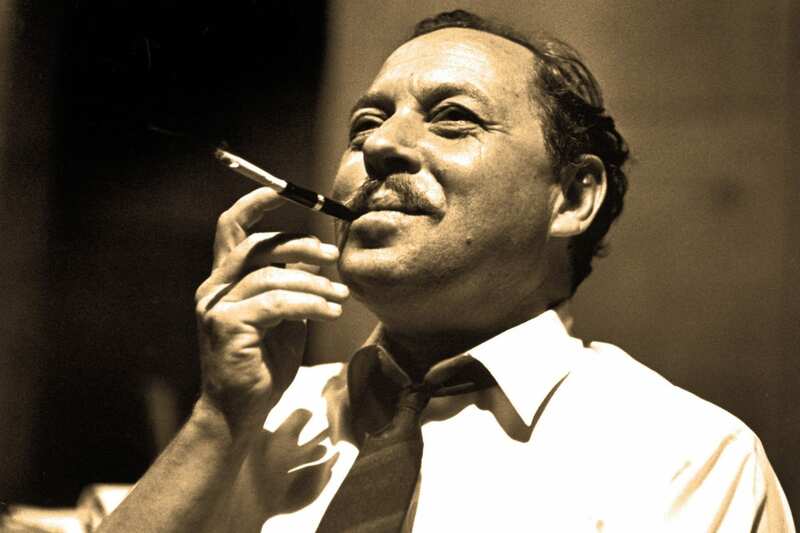 The Tennessee Williams New Orleans Literary Festival is held annually in New Orleans in commemoration of the playwright. The festival takes place at the end of March to coincide with Williams’s birthday.